We feel alright. Join us on the dance floor. Spirit // 242 51st St.
Join the event page on Facebook for the latest updates. Can you dig it? TITLE TOWN returns to the Spirit Lodge on Saturday, April 6th! Resident DJs, J. Malls & Gordy G. spin an all-45 mix from 9pm until the lights come on. Early arrival and a good pair of dancing shoes are recommended. Get down with us as we cover everything from Northern Soul to Motown, funky-jazz to disco, boogie, Latin boogaloo - all on original 45 RPM vinyl. 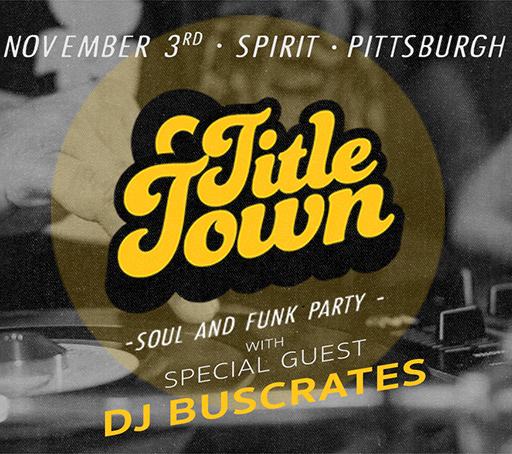 TITLE TOWN is a fresh, feel good party and inclusive to everyone - there’s nothing else like it in the Burgh. 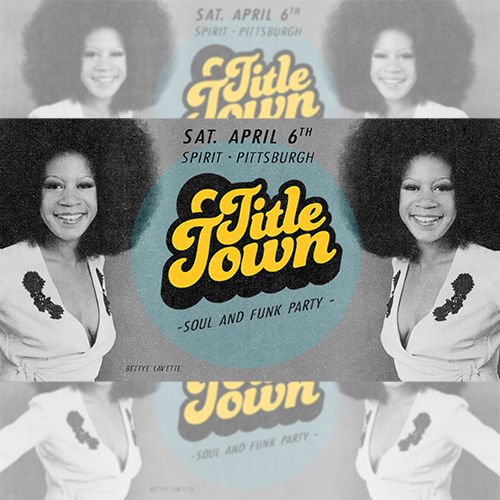 As we approach our 10th anniversary, TITLE TOWN continues to uphold Pittsburgh’s rich DJ legacy, with an appreciation for timeless tracks and seldom-heard sounds from decades past – Northern Soul, ‘70s nightclub Funk, deep Disco cuts and 80's Boogie, 50's and 60's vintage Rhythm & Blues. 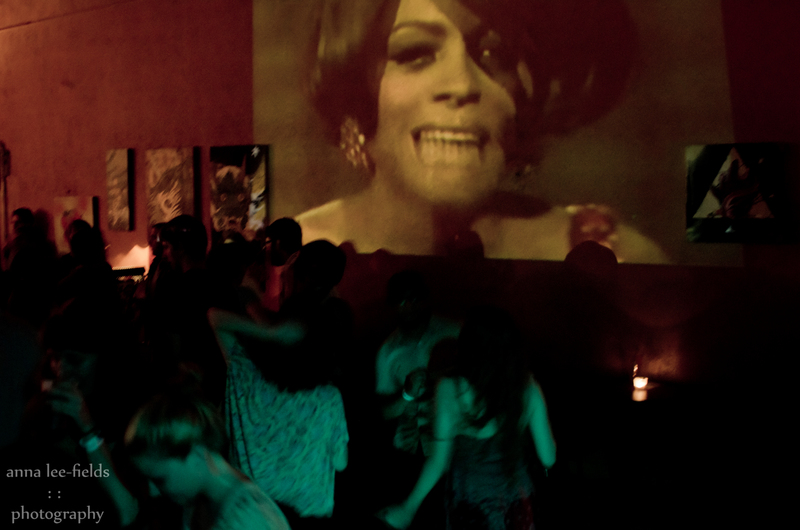 The Steel City’s #1 soul party covers it all and everything in between. It's Chuck Jackson meets The Jackson 5, the Steel City to the Motor City, with a feel-good house party atmosphere all night long. The music was created for the dance floor: uptempo beats, funky grooves, and a blast of infectious energy. TITLE TOWN navigates genres and eras, blending the best of labels such as Motown, Stax, and Chess with hand-picked rarities from regional soul and funk scenes around the country including right here in the Burgh. Requests are always welcome in advance or at the event. Shake it to the beat. We’re back 3/2. SATURDAY, March 2nd Spirit 242 51st St. Pittsburgh, PA 9pm - 2am; 21+ w/ ID, $7 at the door TITLE TOWN returns to the Spirit Lodge Saturday, March 2nd. Your resident DJ's, J. Malls & Gordy G., spin an all-45 mix from 9pm until the lights come on (2am). Early arrival and dancing shoes are recommended as always. Feel every vibe as we cover everything from Northern Soul to Motown and funky-jazz to disco, boogie, and Latin boogaloo - all on original 45 RPM vinyl. This party is inclusive, infectiously feel-good and totally fresh. There’s nothing else like it in the Burgh. 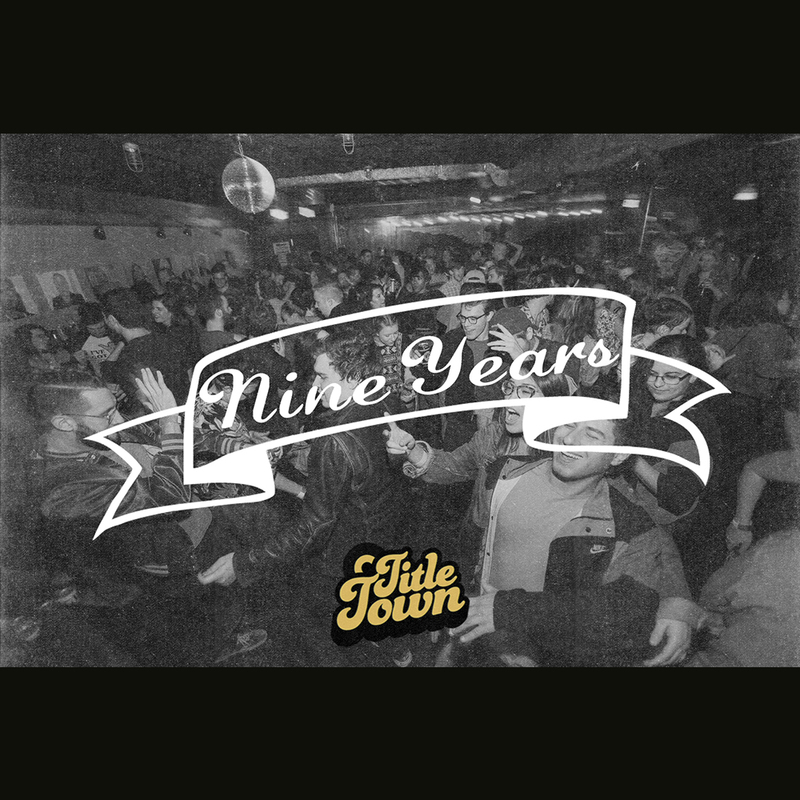 As we approach our tenth anniversary, TITLE TOWN continues to uphold Pittsburgh’s rich DJ legacy, with an appreciation for timeless tracks and seldom-heard sounds from decades past – Northern Soul, ‘70s nightclub Funk, deep Disco cuts and 80's Boogie, 50's and 60's vintage Rhythm & Blues. The Steel City’s #1 soul party covers it all and everything in between. It's Chuck Jackson meets The Jackson 5, the Steel City to the Motor City, with a feel-good house party atmosphere all night long. 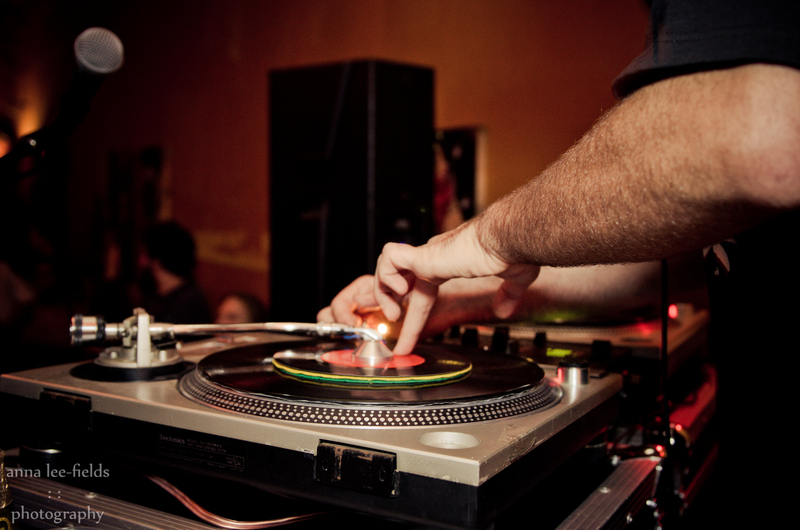 The music was created for the dance floor: Uptempo beats, funky grooves, and a blast of infectious energy. TITLE TOWN navigates genres and eras, blending the best of labels such as Motown, Stax, and Chess with hand-picked rarities from regional soul scenes around the country including right here in the Burgh. Shake off that winter chill! TITLE TOWN returns to the Spirit Lodge Saturday, February 2nd! The needle hits the record at 9pm and the party doesn't stop until 2 in the morning. Early arrival and dancing shoes are recommended as always. Feel every vibe as we cover everything from Northern Soul to Motown and funky-jazz to disco, boogie, and Latin boogaloo - all on original 45 RPM vinyl. 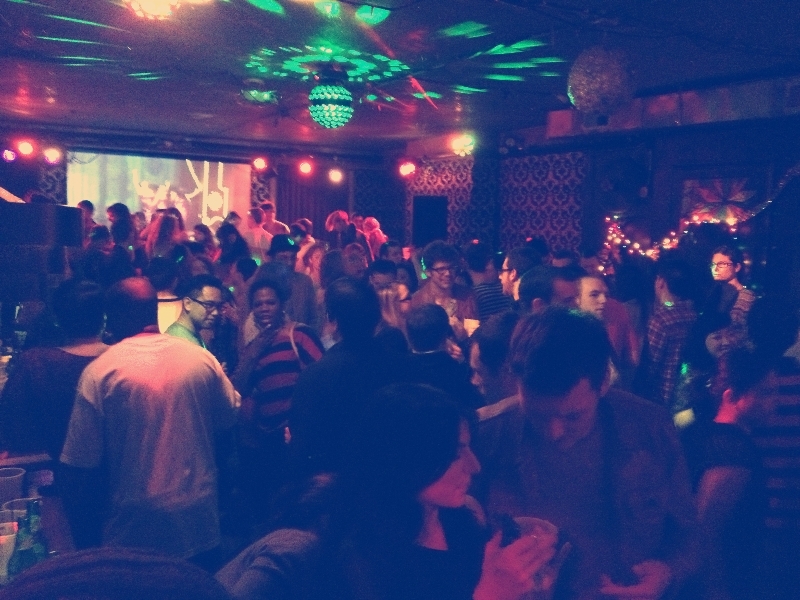 The party is inclusive, infectiously feel-good and totally fresh. There’s nothing else like it. Now in its tenth year, TITLE TOWN upholds Pittsburgh’s rich DJ legacy with an appreciation for timeless tracks and seldom-heard sounds from decades past – Northern Soul, ‘70s nightclub Funk, deep Disco cuts and 80's Boogie, 50's and 60's vintage Rhythm & Blues. The Steel City’s #1 soul party covers it all and everything in between. It's Chuck Jackson meets The Jackson 5, the Steel City to the Motor City, with a feel-good house party atmosphere all night long. TITLE TOWN Soul & Funk Party returns to Spirit Saturday, January 5th. Join us downstairs in the Spirit Lodge the first Saturday of each month. This month we are joined by Pittsburgh expatriate DJ Phil.I.Am (Denver, CO). Doors open early at 9 pm and the party doesn't stop until two in the morning. TITLE TOWN is back on Saturday, November 3rd at Spirit. This month we’re are joined by Pittsburgh's own DJ BUSCRATES. Feel every vibe as we cover everything from Northern Soul to Motown and funky-jazz to disco, boogie, and Latin boogaloo - all on original 45 RPM vinyl. 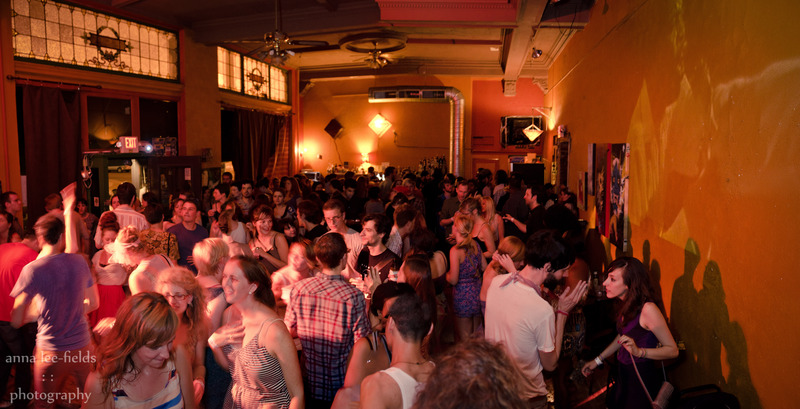 The party is inclusive, infectiously feel-good and, and totally fresh. There’s nothing else like it. TITLE TOWN is back on Saturday, October 6th at Spirit. We'll put a glide in your slide and dip in your hip as we celebrate our NINE YEAR ANNIVERSARY! 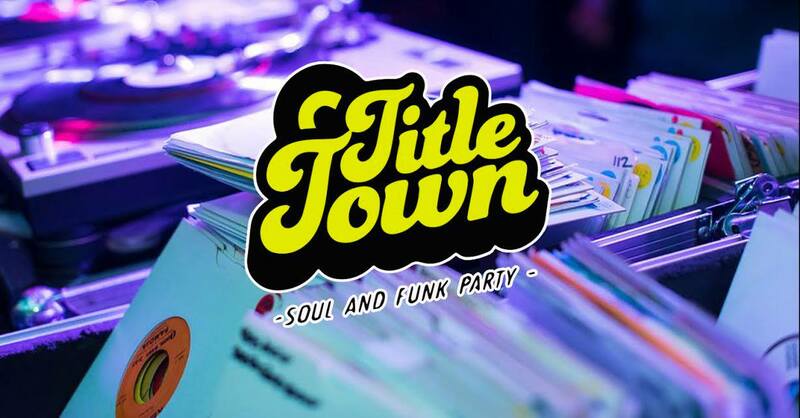 TITLE TOWN Soul & Funk Party is back on July 7th at Spirit! Join us for FIVE HOURS of the forgotten era of groove. Whatever it is - funky bass lines, foot-stomping soul, disco-funk rarities, or floor filling favorites - this music will make you wind up your waist and get into it. This month, we welcome special guest DJ Justin “Juddy” Hopper. Currently living in England, Justin Hopper is a DJ, writer, artist and curator who, in the early ‘00s, helped cement Pittsburgh’s place in the growing soul and vinyl record scene. Armed with a few boxes of Northern Soul, cathartic ’50s & ’60s R&B, Latin Boogaloo, and then some - Juddy is back for a one night only affair and he’s been itchin’ to shake some action into your heads and dancin’ feet. TITLE TOWN Soul & Funk Party is back on Saturday, June 2nd at Spirit. Join us for FIVE HOURS of the forgotten era of groove. Whatever it is - those funky bass lines, that foot-stomping soul, disco-funk rarities, or floor filling favorites - this music will make you wind up your waist and get into it. Arrive early - capacity strictly enforced. Join our mailing list for news and event announcements!